Despite the increase in startup activity in Southern California, local venture capital funds are still few and far between, and a large chunk of the funding here is still from Sand Hill Road. However, one, longtime local fund--GRP Partners--appears to have found the right formula for venture success, and has just raised a brand new, $200 million fund. The firm just announced that new fund, and a new name, Upfront Ventures (www.upfront.com). We caught up with Mark Suster, one of Upfront's General Partners and a well known blogger and technology personality, the new fund, and how his blogging is now driving the firm's investment activity. Mark Suster: It's a $200M fund. Obviously, we feel great about that. It's good news for us, but it's also good news for Los Angeles technology. Having a major fund in town makes a major difference. As you probably know, two thirds of our investments go into Los Angeles. Unlike other funds, we don't have multiple offices across the country, we're just here in Los Angeles. All of our partners are based here. Plus, as I'm sure it won't surprise you to hear, it's pretty tough out there for VCs to raise money. It's a pretty good accomplishment. What's enabled the firm to raise this fund, at the same size of your last fund? Mark Suster: One thing: track record. Our 2000 fund is the single best, performing fund in the country. Our 2008 fund is also performing incredibly strong. That track record matters a lot, and it all comes down to that. Also, increasingly, I think people have the view that Los Angeles is becoming an important tech center. We've had a ringside seat here to Los Angeles technology for seventeen years, and probably for our LPs, they're thinking it's good to have a diversified investment strategy, and invest in a top LA-based VC, rather than investing in VC number eighty-one on Sand Hill Road. Is there a strategy that has enabled you to pick the winners? Mark Suster: For starters, we've just invested in industries we know well. We've put lots of money into areas we know well, such as technology for the financial services industry, technology for retail services, and technology for digital media. Those are all categories we know well. I think it's also the fact that we had a national practice. Some of our biggest winners in our 2000 fund were in New York, in Los Angeles, in Chicago, in Las Vegas. We're not necessarily trying to compete with eighty other funds on Sand Hill Road. What's behind the name change? 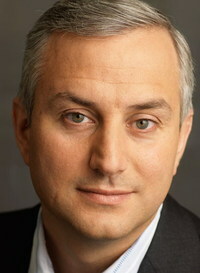 Mark Suster: If you think about it, seventeen years ago, there were two things that existed for us. GRP stood for Global Retail Partners. Right now, we're neither global, nor retail. We haven't done a retail deal in sixteen years. Number two, the brand didn't matter so much back then. Most of the deals were done as part of the old boys club. Now, we realize that people care about transparency and openness, and want to know that we have operational experience, and want to know who you are. In a world where we have blogs, social media, sites like TheFunded, and a variety of other sources where entrepreneurs can figure out what other people think about VCs, being open and transparent matters. I think that's what enables Fred Wilson, and Brad Feld, and myself to raise above the noise, really. Being so open, when entrepreneurs think about capital, we want to be top of mind. It's a lot easier to be top of mind when you have a memorable name which stands for what your brand's values are. How has your broad social media presence affected your dealflow? Mark Suster: It's our best source of deal flow. It's the single best. I can write about anything--Internet video, for example, and I'll have 50 Internet video plans. If I write about online education, I'll see 25 online education plans. I think it's just about having awareness, of having people know who you are, where you are coming from, so they think of you when raising capital. They know you're someone they want to do business with. The new fund also comes with a move to some new space in Santa Monica? Mark Suster: We want to be able to host the community in our offices, so we're building an indoor/outdoor facility. Outdoor, we have 4,000 square feet, where we'll have canopies, umbrellas, heating lamps, so people can just come out and hang out at our offices.